We believe that our benefits offer you both choice and opportunity. They remain competitive and affordable in the marketplace. Best of all—they provide you with a great benefits package value. This Benefits information is provided as general information regarding the benefits provided at Pima Medical Institute. Pima Medical Institute has contracted with a managed health care company to provide medical plan benefits. You have a choice of three plan options referred to as the Red, White and Blue Plans. One is a Preferred Provider Organization (PPO) (Red Plan) and the other two are High Deductible Health Plan (HDHP), Health Savings Account (HSA) qualified plans (White and Blue Plans). All three plans use the same United Healthcare (UHC) Choice Plus Network of providers. Pima Medical Institute provides Dental Plan coverage for eligible employees at a low cost for employees and their eligible family members. The plan is a Preferred Provider Organization (PPO) Plan with a national network of Dentists and specialists to choose from. Pima Medical Institute provides Vision benefits for eligible employees at a low cost for employees and their eligible family members. The plan provides a national network of providers and facilities. Pima Medical Institute provides Basic Life and Accidental Death and Dismemberment (AD&D) insurance for benefit eligible employees at no cost. Employees are covered at $50,000 Life and AD&D benefit. Pima Medical Institute pays 100% of the premium for all benefit eligible employees. Eligible employees are able to purchase Voluntary Life and AD&D insurance for yourself, your spouse, and/or your children. Rates are based on Employee’s age and the amount of coverage selected. Pima Medical Institute provides disability coverage for benefit eligible employees at no cost to the employee. The Short Term and Long Term Disability plans provide replacement of a portion of an employee’s income, if they have to be out of work due to an off-the-job illness or injury. Replaces 60% of your weekly base salary, up to a maximum of $1,500 per week, if you are disabled and unable to work due to an illness or off-the-job injury. Benefits begin on the 8th day of an illness or injury and will continue for up to 25 weeks. Replaces 60% of your monthly base salary, up to a maximum $2,000, if you are unable to work and suffer a loss of income due to an illness or off-the-job injury. Benefits begin after 180 days and will continue until your social security normal retirement age, or until you no longer qualify for benefits, whichever occurs first. If your disability occurs at or after age 65, benefits would be paid for a reduced period of time. Pima Medical Institute offers Flexible Spending Accounts (FSA). An FSA allows you to save money on a pre-tax basis to pay for your family’s qualified out of pocket healthcare (medical, prescription, dental, and vision) and dependent care (child and elder care companion services). A Healthcare FSA is designed to help you pay for eligible expenses that are not covered by your basic health plan. A Limited Purpose FSA is designed to work alongside a Health Savings Account. The Limited Purpose FSA is used only for Dental and Vision out-of-pocket costs. The Dependent Care FSA is similar to the Healthcare FSA; it allows you to pay for eligible dependent day care expenses with pre-tax dollars. Generally, child and elder care companion services are eligible expenses. If you enroll in Pima Medical Institute ‘s “HDHP” Medical Plans (White and Blue Plans), you may be able to contribute to a Health Savings Account (HSA). An HSA allows you to save money on a pre-tax basis to pay for your family’s qualified out of pocket healthcare (medical, prescription, dental, and vision) expenses. An HSA is an individual tax-advantaged savings account that is set up through Optum Bank; it is in your name and belongs to you. Pima Medical Institute will make contributions to your HSA on your behalf. You can make additional contributions to the account via payroll deduction. Due to the tax advantages of these accounts, the IRS limits the maximum amount that can be contributed (both employer and employee funds combined) on a calendar year basis. Pima Medical Institute provides up to $4,000 per year in tuition reimbursement for continuing education (coursework must be accredited college level and in pursuit of an associate degree and above). Conferences, seminars, workshops and professional development courses are paid by PMI and cover all related fees; registration, meals, lodging and mileage as approved by campus or corporate director. There are so many reasons why Pima Medial Institute is a great place to work, including outstanding benefits and retirement savings opportunities. As an employee owner who works at least 1,000 hours per calendar year, you have a stake in the company and an opportunity to reap the rewards of capital ownership. The ESOP owns 56% of PMI shares and these shares are distributed among eligible participants annually. The ESOP is fully funded by PMI and share value may increase or decrease, based on annual company performance. Regular employees must work 1000+ hours per Plan Year and be employed on 12/31 to receive new shares. *The ESOP is audited and appraised annually by an independent appraiser. The appraisal is based on the estimated value of the company and its financial position. PMI offers an excellent 401(k) retirement plan, with a generous company match. Eligible participants may choose from approximately 20 mutual funds, with selection based on individual and retirement goals. Our current company match is 20% of the employee's contribution, up to the Federal maximum annual contribution limits. PMI has a vesting period of six (6) years and is effective on employee hire date. New employees to Pima Medical Institute are automatically enrolled in the plan after completing six (6) months of employment and are over the age of 21. We believe that healthy employees are happy employees. We work hard to foster an environment that supports healthy lifestyles. We provide opportunities, programs, and services that emphasize awareness, prevention and positive health behavior change. An online health management program which you can earn awards based on your level of participation. To qualify to use Club H.O.P.E. an employee must work Full time or Part time (20+ hours per week). Health club dues reimbursement program – Up to $25 a month reimbursed for each month that you apply and attend your gym at least 8 days. Weight Watchers Reimbursement Program – Half of your WW membership costs (up to $300 a year) will be reimbursed if you attend 80% of your meetings, or log in at least weekly online. Pima Medical Institute offers Full time and Part time reimbursement for entrance fees associated with a race or charity event on a quarterly basis. Pima Medical Institute provides an Employee Assistance Program (EAP) through 3rd party provider at no cost to employees and their dependents. This program provides support for day to day concerns such as stress, depression, work issues, alcohol and drug abuse, or family/marital concerns. Licensed counselors are available telephonically 24 hours a day, 7 days a week; and up to 6 face to face appointments are also available. All counseling sessions are completely confidential and there is no cost for these services. All full-time, (40 hours per week/80 hours per pay period) employees receive eight (8) paid holidays per year. Paid Time Off (PTO) provides employees time off from work with pay for vacations, personal business and illness. PTO may be used after 90 days of employment. PTO is accrued on the number of hours worked and based on length of service. Employees who terminate employment with PMI will be paid the balance for any PTO hours accrued as of the date of termination. Employees not eligible for PTO (sub/temp) in the states of WA, CA, AZ will earn sick leave as required by law. Feel free to browse through our list of commonly asked questions. Who is eligible for healthcare coverage? All employees scheduled to work 30 or more hours per week. 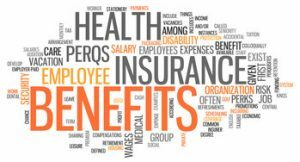 Employees may elect coverage for themselves, a legal spouse, and dependent child(ren) who are under the age of 26 for medical, dental and vision. How do I pay for my benefits? You and Pima Medical Institute share the cost of your benefits coverage. Pima Medical Institute pays the majority of the cost for your Medical, Dental and Vision coverage and all of the cost for your Term Life/AD&D, Short Term Disability, Long Term Disability and Employee Assistance Program coverage. Employees are responsible for the full cost of Voluntary plans such as Voluntary Term Life/AD&D. Benefit premiums are deducted twice a month (24 times per year). When can I enroll for coverage? Open Enrollment is the time of year during which you can newly enroll for benefits, make changes to existing benefit elections, change plans, or terminate coverage. Open Enrollment is usually held each November with an effective date of January 1st. Our benefit plan year is January - December. This is the only time of the year that you can make changes without experiencing a Qualifying Event. You must notify Human Resources within 30 days of the date of a Qualifying Event if you wish to add, drop, or change coverage (Medicaid participants have 60 days). Otherwise, you will have to wait until next year’s Open Enrollment period to make changes. What is the payroll schedule? There are 26 paydays per year. If a payday falls on a Holiday Friday, the payday will be the preceding day. Payday is generally five to six working days following the end of the pay period. Automatic checking and savings deposits are offered to all employees. How much PTO will I accrue in the first year? As a full-time, 40 hours per week employee, you will accrue 80 hours of PTO during your first year of employment. Who is eligible for tuition reimbursement? Any regular full-time or part-time employee that has been employed for six continuous months, and is scheduled to work a minimum of 20 hours per week. Who is eligible for health club reimbursements? Any regular full-time or part-time employee scheduled to work a minimum of 20 hours or more per week is eligible for health club reimbursements. Are there performance evaluations or increases? Pima Medical Institute conducts annual performance evaluations and merit increases are awarded with the last paycheck of the employment anniversary month and are usually 2% or 3% of base pay.